Home sales via Canadian MLS® Systems fell by 2.3% in November 2018, adding to the decline in October of 1.7%. While the number of homes trading hands is still up from its low point in the spring, it remains below monthly levels posted from 2014 through 2017. Actual (not seasonally adjusted) activity was down 12.6% y-o-y and came in below the 10-year average for the month of November. Sales were down from year-ago levels in three-quarters of all local markets, including the Lower Mainland ofBritish Columbia, Calgary, the GTA and Hamilton-Burlington. "National sales activity has lost a bit of momentum over the past couple of months, but local market trends can be, and very often are, different by comparison," said CREA President Barb Sukkau. "All real estate is local. A professional REALTOR® remains your best source for information and guidance in negotiating the purchase or sale of a home during these changing times," added Sukkau. "The decline in homeownership affordability caused by this year's new mortgage stress-test remains very much in evidence," said Gregory Klump, CREA's Chief Economist. "Despite supportive economic and demographic fundamentals, national home sales have begun trending lower. While national home sales were anticipated to recover in the wake of a large drop in activity earlier this year due to the introduction of the stress-test, the rebound appears to have run its course." There were 5.4 months of inventory on a national basis at the end of November 2018. While this remains in line with its long-term average of 5.3 months, the number of months of inventory is well above its long-term average in the Prairie provinces as well as in Newfoundland & Labrador. By contrast, the measure is well below its long-term average in Ontario,New Brunswick and Prince Edward Island. In other provinces, sales and inventory are more balanced. The Aggregate Composite MLS® Home Price Index (MLS® HPI) was up 2% y-o-y in November 2018. The increase is similar to gains posted since July. Across the Prairies, benchmark home prices remained below year-ago levels in Calgary (-2.9%), Edmonton (-1.9%), Regina(-4%) and Saskatoon (-0.3%). Amid elevated supply relative to sales, the home pricing environment will remain weak in these housing markets until they become better balanced. Home prices rose 6.6% y-o-y in Ottawa (led by a 7.3% increase in two-storey single-family home prices), 6.2% in Greater Montreal (led by a 9.4% increase in townhouse/row unit prices) and 4.2% in Greater Moncton (led by an 11.2% increase in townhouse/row unit prices). The national average price is heavily skewed by sales in Greater Vancouver and the GTA, two of Canada's most active and expensive markets. Excluding these two markets from calculations cuts almost $110,000 from the national average price, trimming it to just over $378,000. MLS® Systems are co-operative marketing systems used only by Canada's real estate Boards to ensure maximum exposure of properties listed for sale. 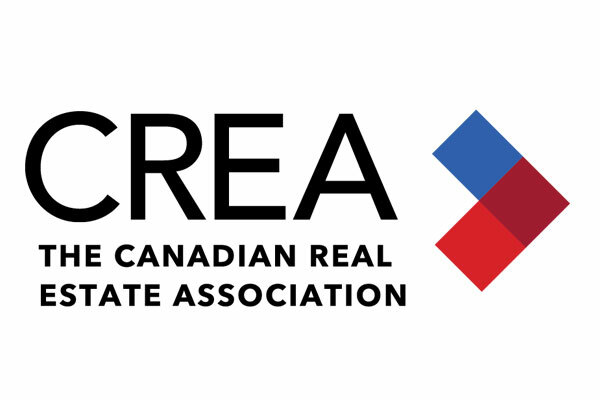 The Canadian Real Estate Association (CREA) is one of Canada's largest single-industry trade associations. CREA works on behalf of more than 125,000 REALTORS® who contribute to the economic and social well-being of communities acrossCanada. Together they advocate for property owners, buyers and sellers.